SSL has arrived! Now, every page on your domain can be fully encrypted, giving you and your customers the best in seamless, universal website security. 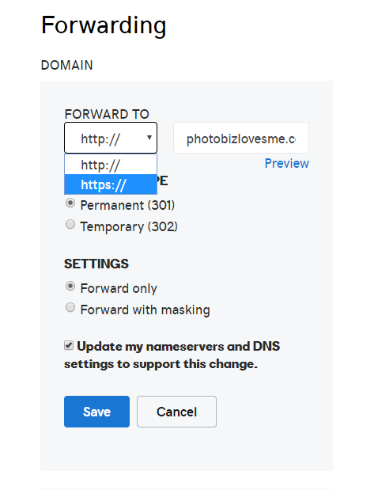 If you're using the latest version of Zibster builder, all it takes is one click to enable SSL across your domain. There are a few things to consider before making the switch. Here’s how to turn on SSL, and what to double check in order to have a smooth transition. For SSL to work properly at this time, your domain's IP address needs to resolve at our servers, which is at the address 18.235.135.157. For most websites, this should be the case. But! This is easy to check. Visit Misk.com and enter your website URL (without the "www" prefix). Verify that the host A record returned matches 18.235.135.157, as in the example below. If your host A record is something different than this number, please call us at 844-353-3412 and we will help you get everything pointing in the right direction. First, log in to your Zibster control panel. Click on “Menu” in the top right corner, and select “Domains”. At the bottom of the Domain Settings page, you’ll see a button that says “Enable SSL.” When you click this button, you will enable SSL on your site, and a certificate will be generated for your domains. Depending on the number of people requesting certificates, this will be within 72 hours (but will probably be much faster). Once you request SSL, a certificate will be generated within 72 hours. You cannot reverse this action to “remove” SSL once it is requested. Check Your Pages For Embedded Widgets, Images & Scripts. Zibster tools and products are designed to work seamlessly with SSL, but if you have anything coded in manually, it’s a good idea to check these items to make sure they will still load properly. Check any embedded code (like images sourced in from the documents area of your account, iframes, or widgets) for http URLs. Since SSL is all about making things https, codes that contain http URLs may not load correctly or could be flagged as “not secure” once SSL is turned on. For external scripts, widgets, and iframes, you may need to check to see if they have an SSL-friendly version if it misbehaves. Some 3rd party widgets may require you to upgrade or make changes to continue to work on an SSL site. This will only apply to some folks, but if you have set up a forward with your registrar, you may need to update that forward to be https. For example, if you have a domain forward to “http://zibster.com”, you will need to update it to be “https://zibster.com”. Anytime you make a big change to your website, it’s a good idea to republish your sitemap to Google. This will minimize any search-related hiccups and make sure your pages are indexed correctly. To republish your sitemap, visit the TRACKING tab in your builder, click the gear icon, and then click the “publish sitemap” button. Google Search Console (formerly Webmaster Tools) treats http and https versions of your URL like completely separate websites. Once you convert to SSL, you’ll need to create a new property for the https version of your web address. While you're in Google Search Console, it's a great idea to go ahead and publish your sitemap here, too. 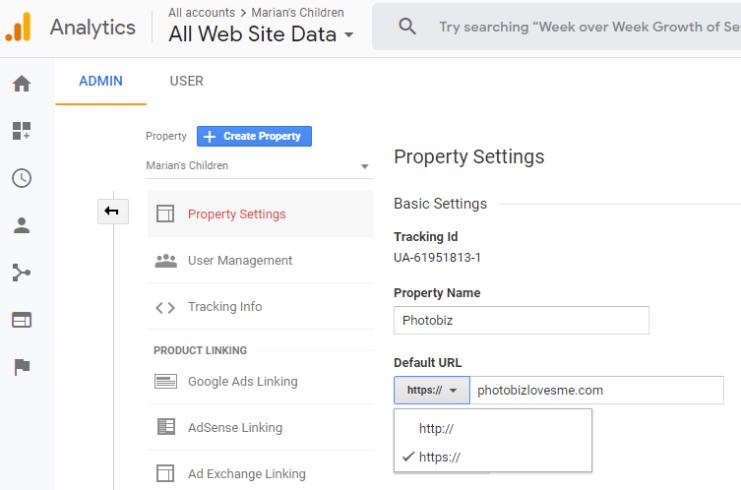 In Google Analytics, you should also update your Property Settings so that your https site is your default URL. You can make changes by visiting the Admin area of your Analytics account and click on the “Property Settings” link in the middle column. Under Default URL, you can select “https://” from the drop-down. Remember to save your settings at the bottom of the page! SSL is generally a boon for websites, but moving to SSL may trigger Google to re-evaluate your pages. This could result in a higher or lower rank based on many factors. But if your content is solid and high-quality, you should expect to retain your rankings. Q: Does it cost anything to enable SSL? A: No, you can enable SSL on your Zibster site for free. Q: Is SSL supported on Legacy Builder sites? A: SSL is only supported on the most current version of Zibster. If you would like to upgrade or want to go over your options, call us at 844-353-3412 and we can go over your plan and find the best solution for you. Q: I turned on SSL but it’s not pulling up? A: Clear your cache and try again. If your browser has the non-secured http version cached, it can cause your website to not pull up correctly. This will be fixed once your cache is cleared. Q: Were my payments and forms unsecured before now? A: You have always had SSL exactly where you needed it – on forms, in your store, and wherever you accept payment or personal customer data. The only change is that now all of your pages, whether they process personal data or not, have SSL encryption. Additionally, payment forms will now display fully on your websites (without linking to a separate page) and will retain your domain, so checkout will be seamless. Our team is happy to answer any questions you have about SSL and your Zibster website. If you have any questions at all, please don’t hesitate to give us a call! We are standing by Monday – Friday from 9 AM to 8 PM EST to answer your questions and help you have a better, more effective web presence.